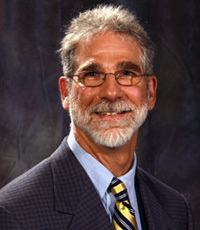 Dr. Immerman is a low vision consultant to 9 private practices and has practiced exclusively low vision since 1982. He routinely see patients with diagnoses of age related macular degeneration, Stargardt’s Disease, macular holes, drug induced toxicity reactions, uveitis, giant tears, diabetic retinopathy, retinopathy of prematurity, retinitis pigmentosa and high myopia. He has spent the last 28 years designing low vision devices for reading, distance, occupational and recreational tasks and specifically, low vision devices for computer use and refers to appropriate specialists in adaptive technologies. He has become a certified visual acuity examiner and refractionist for six National Eye Institute funded multi-center collaborative clinical trials: Early Treatment Diabetic Retinopathy, Children’s Hospital Medical Center Diabetic Retinopathy, Branch Vein Occlusion, Central Vein Occlusion, Silicone Oil and Collaborative Ocular Melanoma Studies. Each study has specific protocol requirements. He has assisted in the training of retina ophthalmology fellows in clinical low vision practice and theory and has lectured to in-service training groups of ophthalmic medical personal and to low vision support groups. He has been published in a national professional journal. Dr. William Feinbloom Low Vision Award-May 1982- presented to the most distinguished low vision clinician in the graduating class.